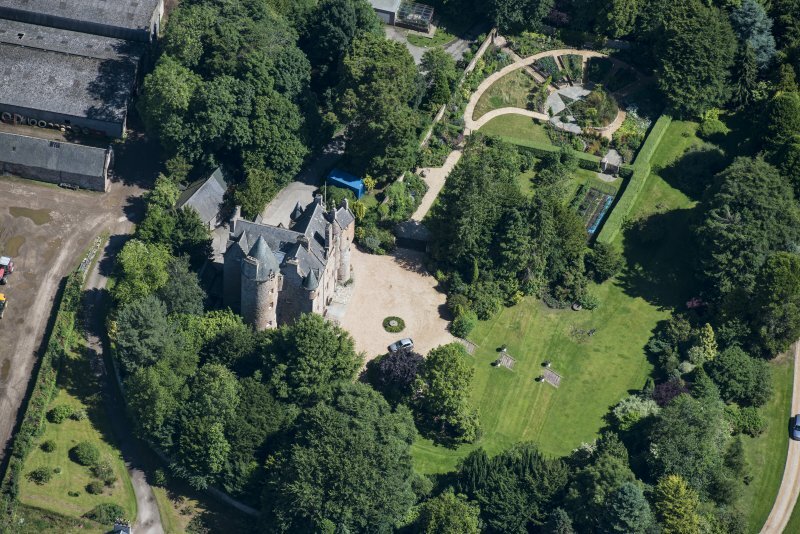 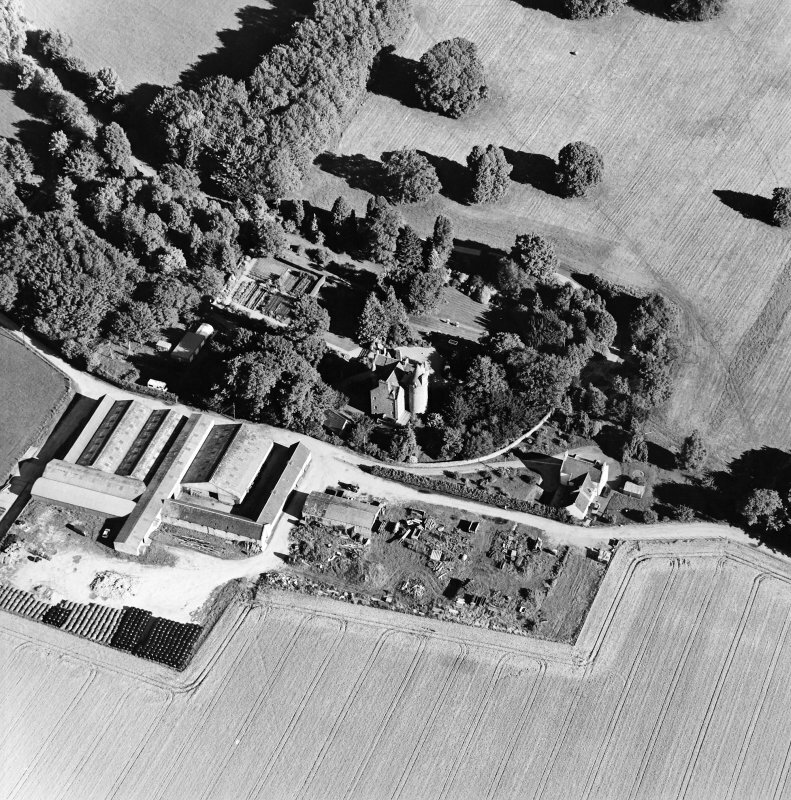 Oblique aerial view centred on the castle, steading and farmhouse, taken from the ESE. 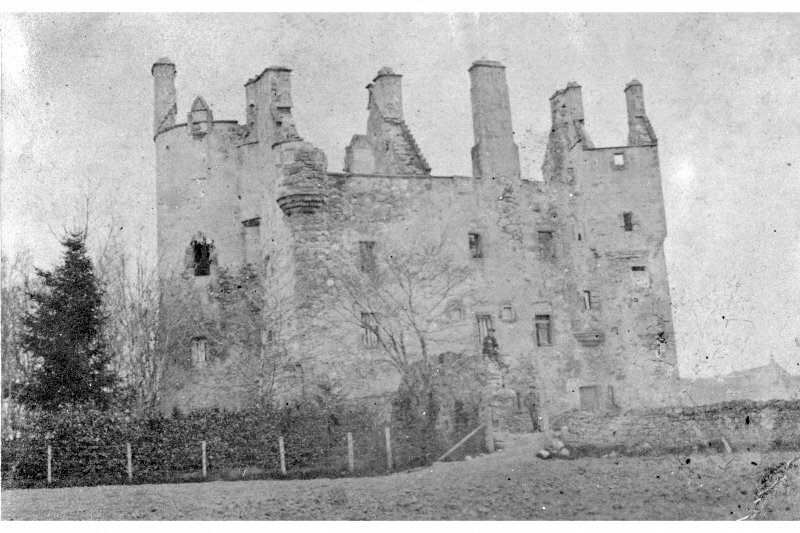 General view of Kilquoy Castle. 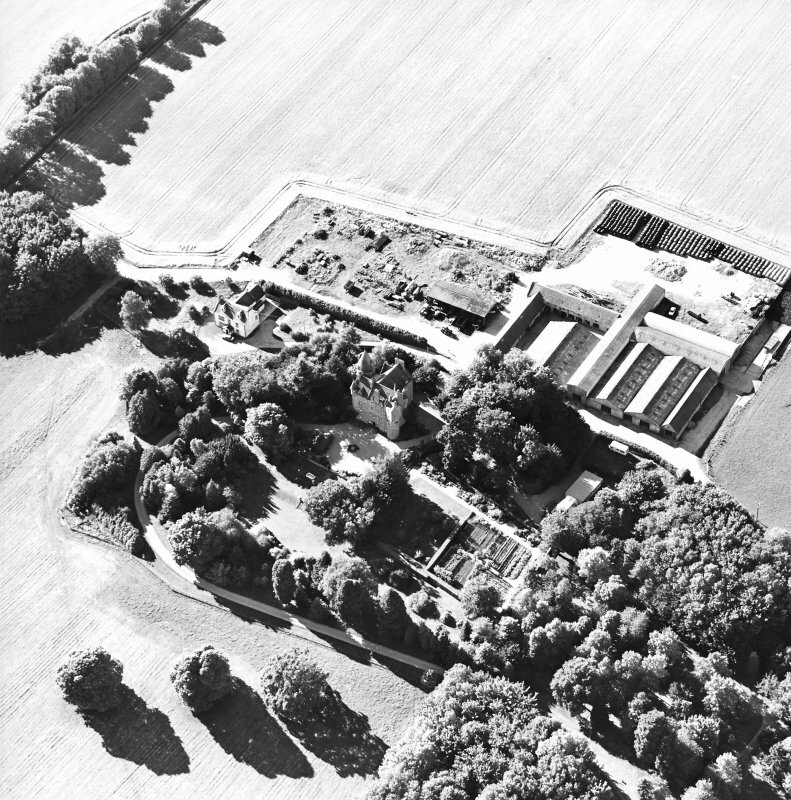 General oblique aerial view centred on Kilcoy Castle, looking NW. 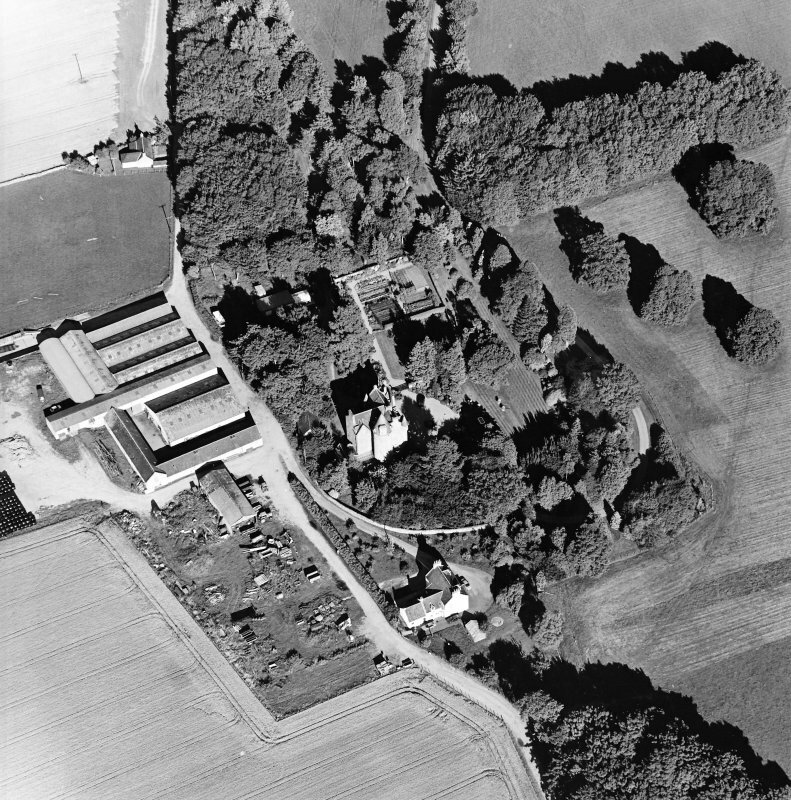 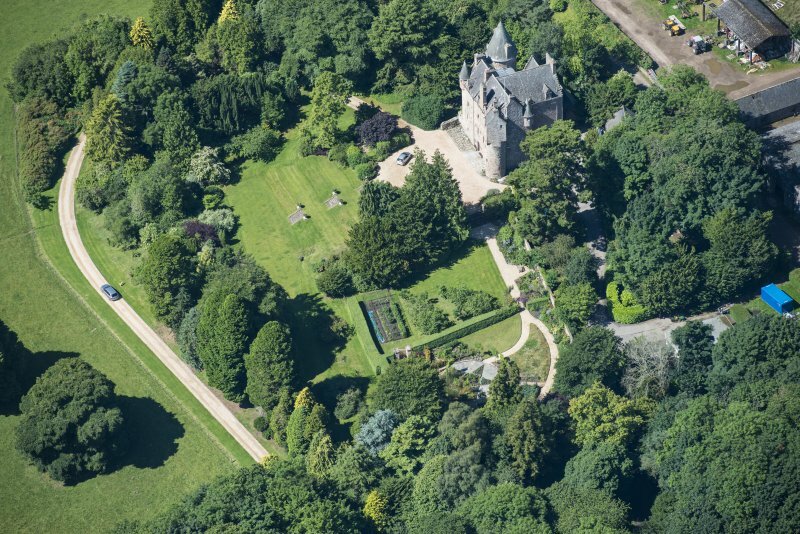 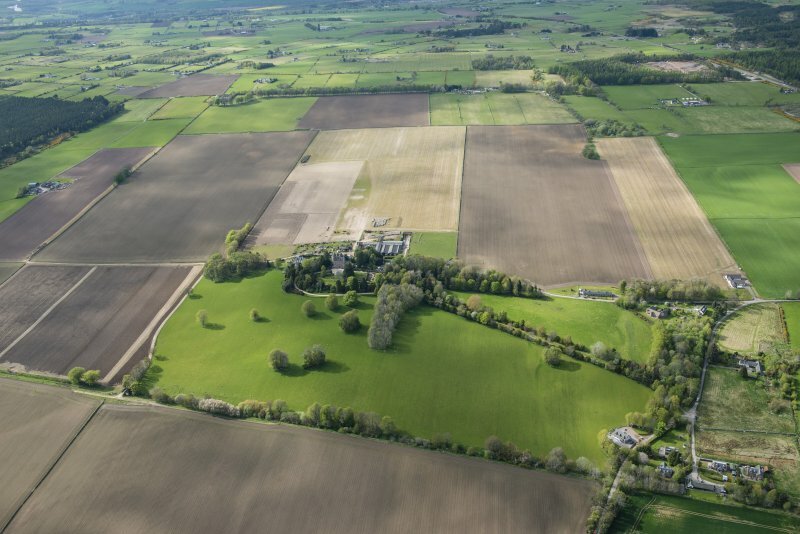 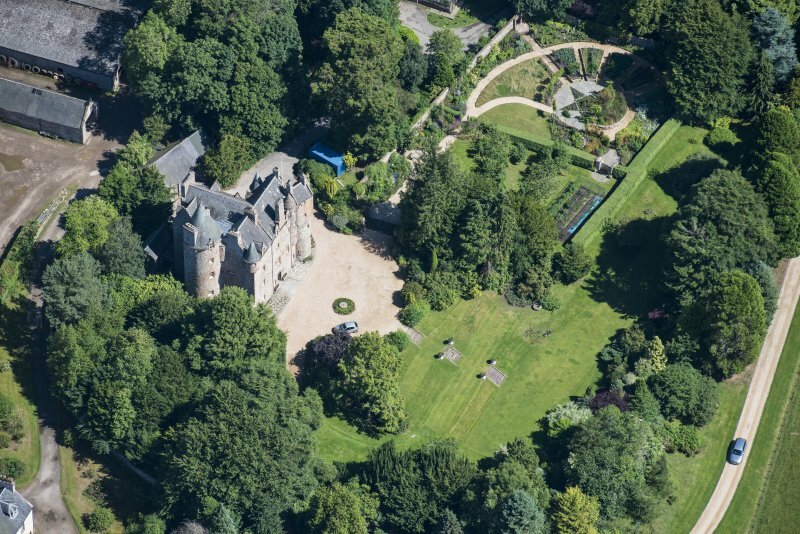 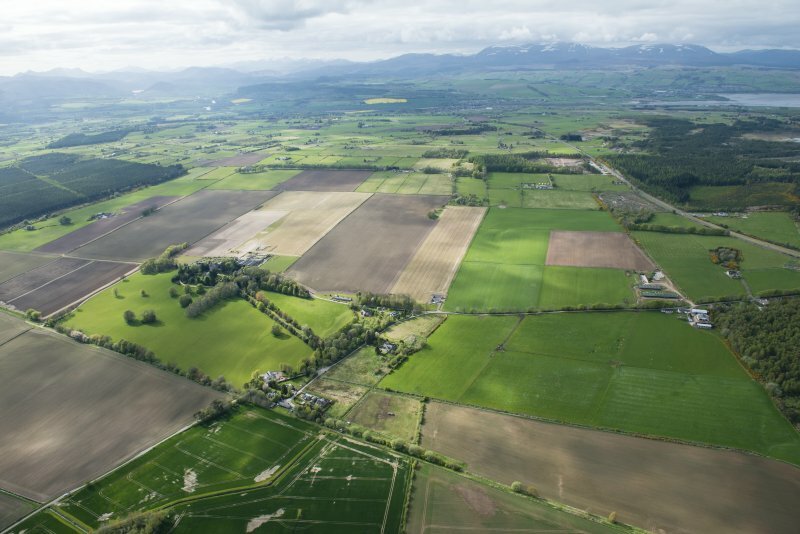 Oblique aerial view centred on the castle, steading and farmhouse, taken from the SSE. 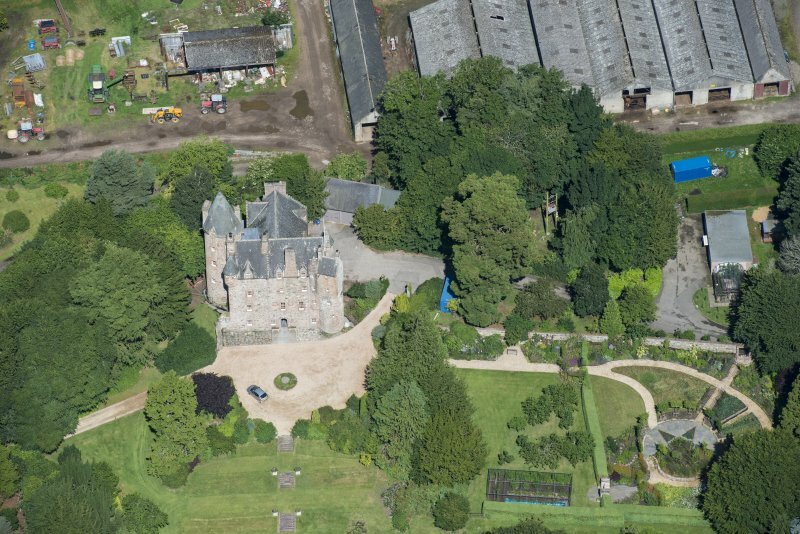 Oblique aerial view centred on the castle, steading and farmhouse, taken from the S.
Oblique aerial view centred on the castle, steading and farmhouse, taken from the WSW. 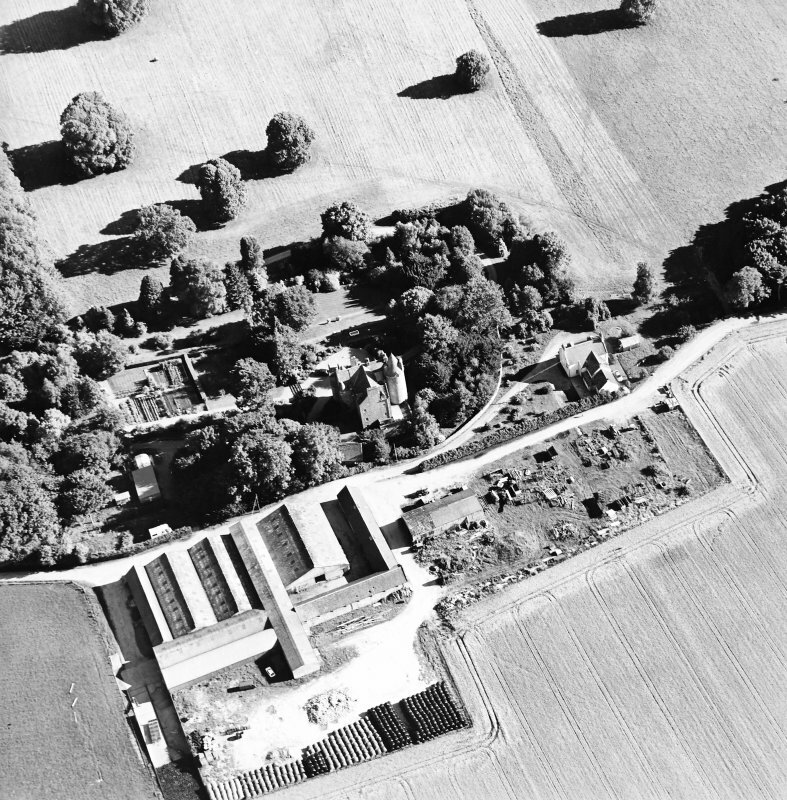 Oblique aerial view centred on the castle, steading and farmhouse, taken from the NNW. 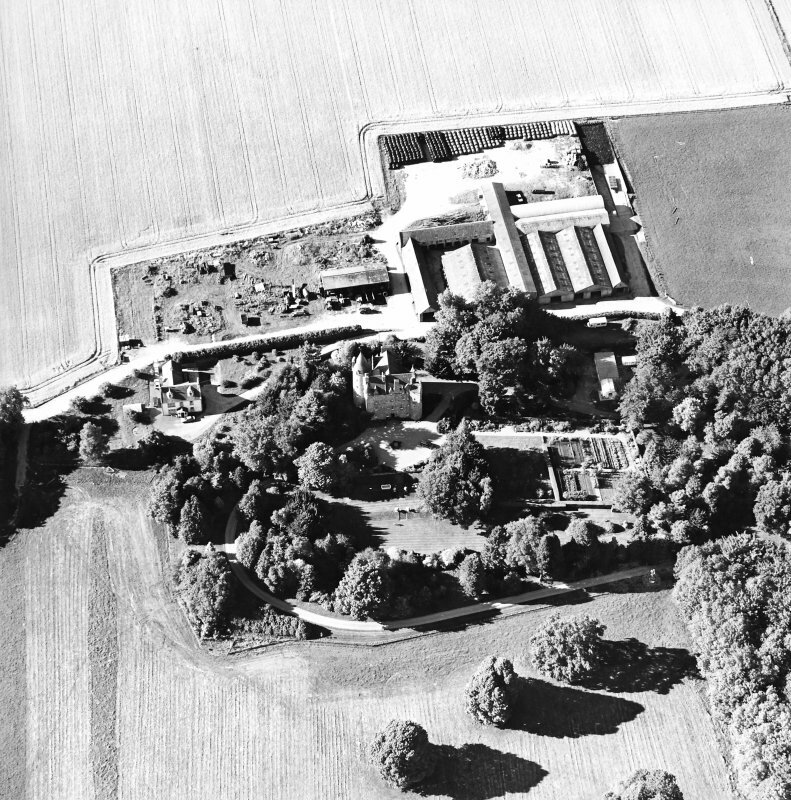 Oblique aerial view centred on the castle, steading and farmhouse, taken from the WNW. 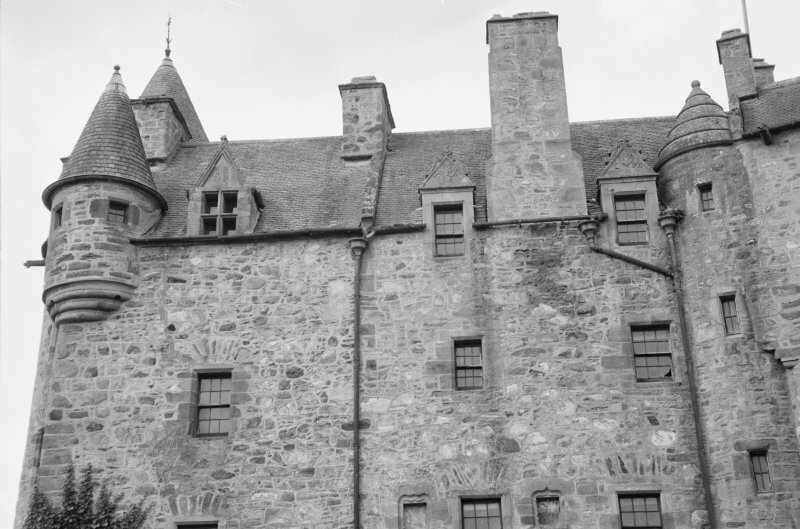 A 17th C Z-plan fortalice four storeys high of warm red rubble masonry pierced with gun-loops and shot-holes. 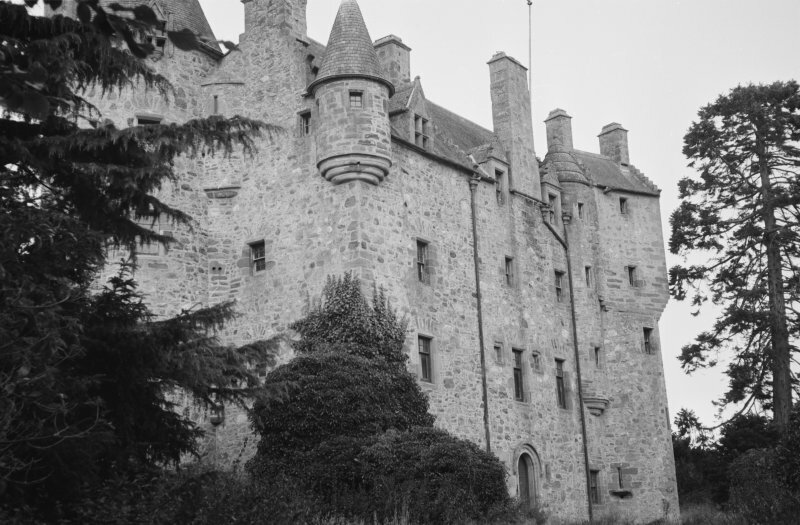 The present entrance is in the centre of the south front but the original was in the re-entrant angle with the SE tower. 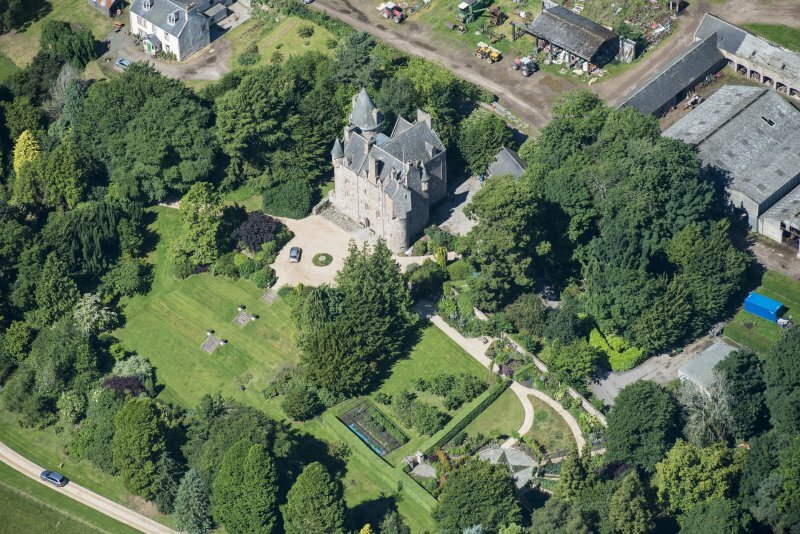 The castle was erected by Alexander MacKenzie, who aquired the property in 1618, and by the end of the 19th C it was a roofless ruin but it has since been restored. 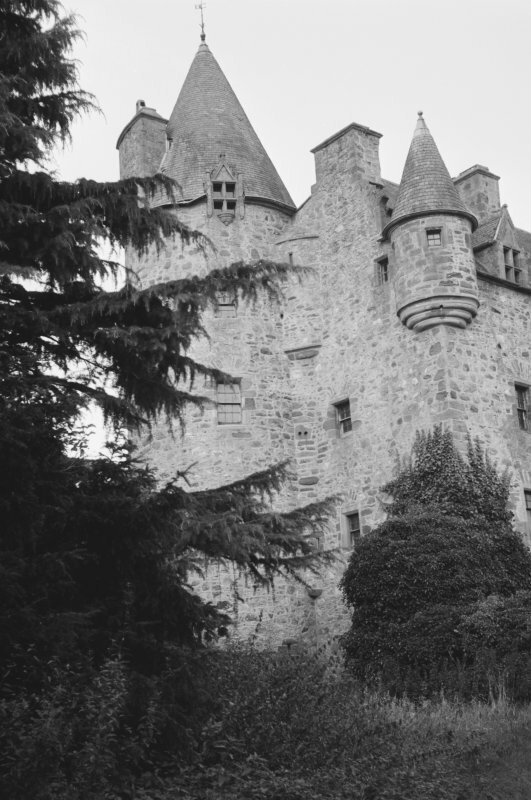 This castle is as described above. 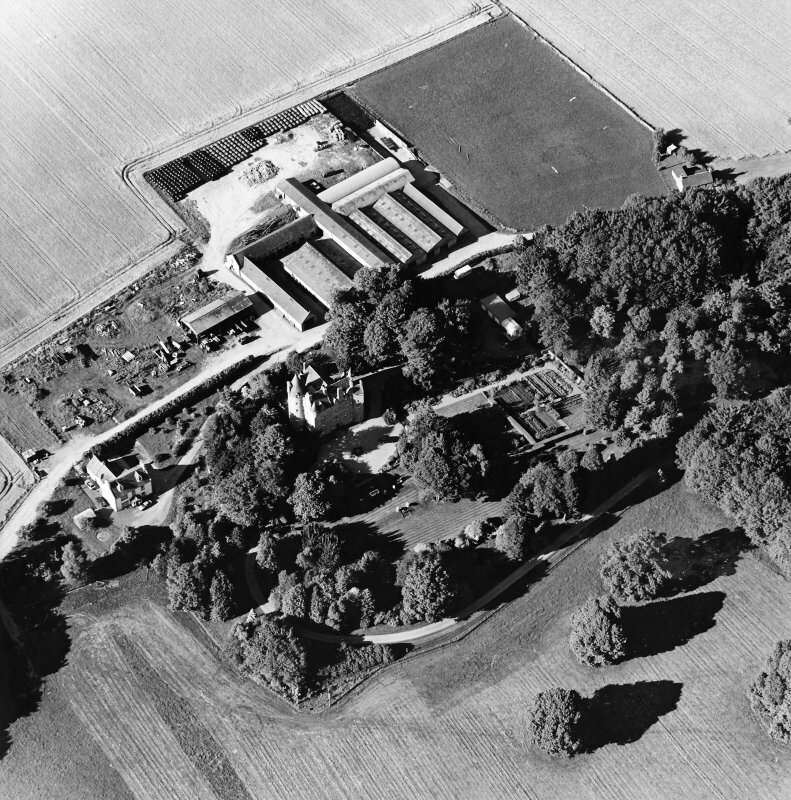 The later additions to the NW side were built in c 1890. 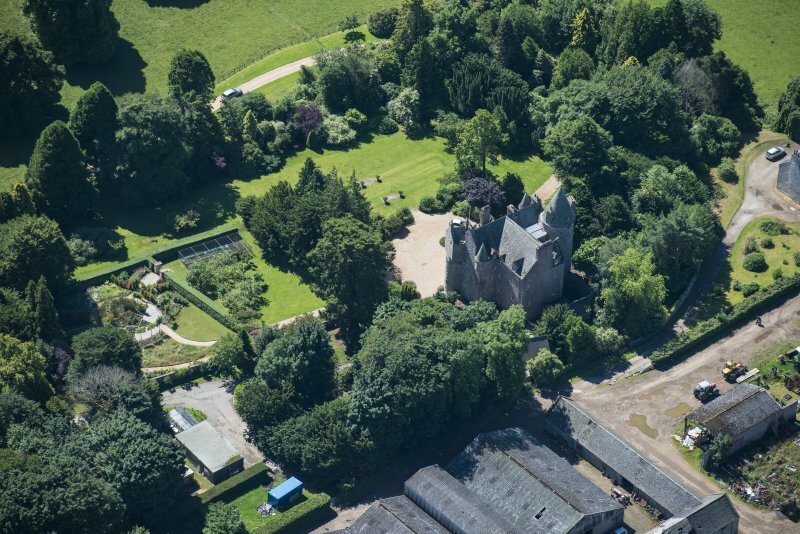 According to the owner's wife (Mrs Robertson, Kilcoy Castle), the castle's construction was started in 1618 by James Stewart of Newton. 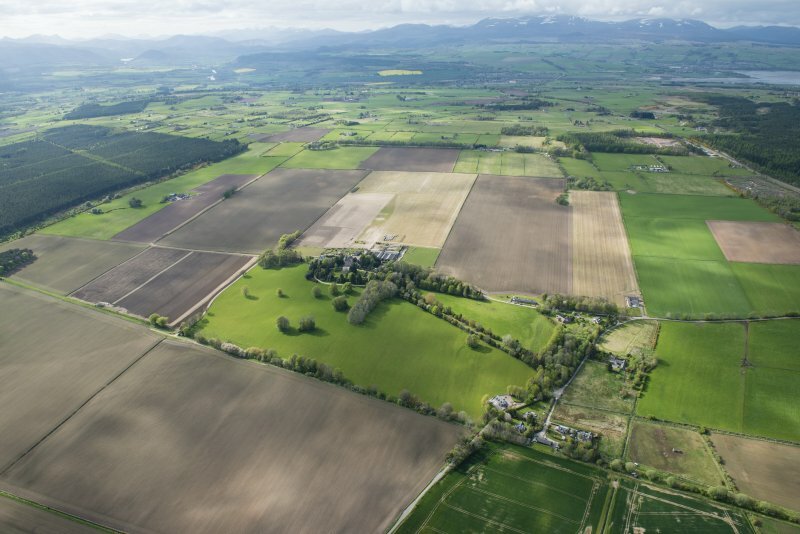 After his death the property passed to Alexander MacKenzie. 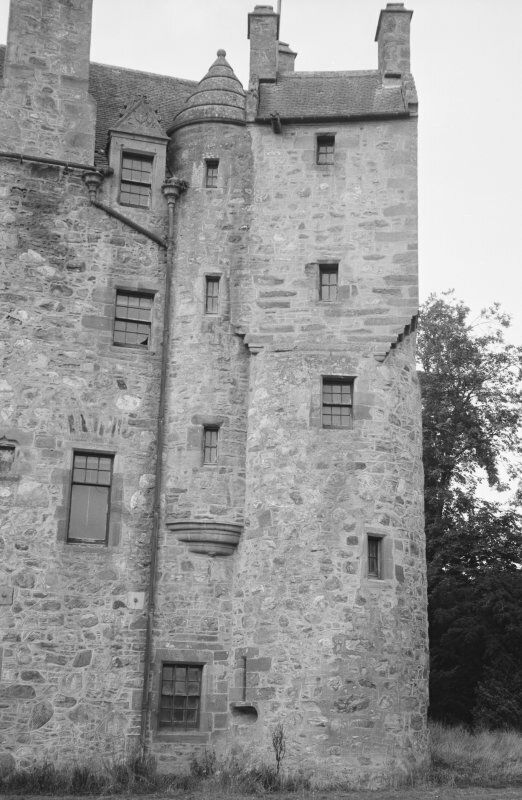 D MacDonald and T Ross 1887; N Tranter 1970. 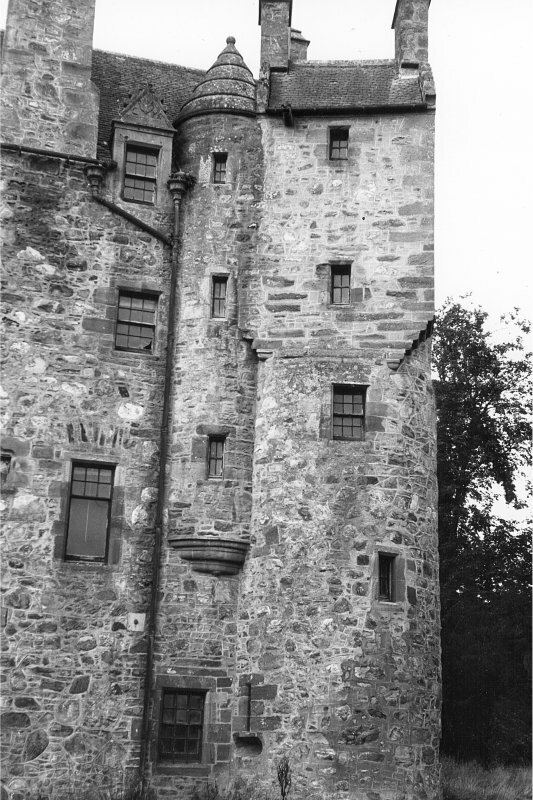 Visited by RCAHMS (JRS) 3 March 1989.